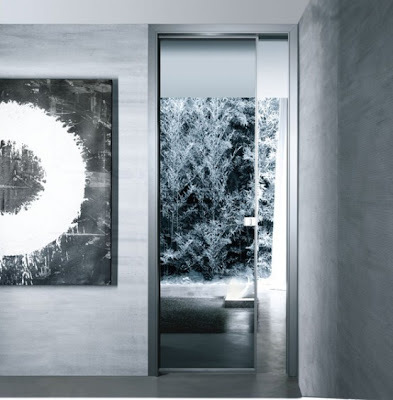 Italian manufacture Rimadesio offers stylish and aesthetic look interior glass doors, which are characterized not only by refine designs but also by clever and high quality mechanisms. One of its the most interesting collections is the Spin. 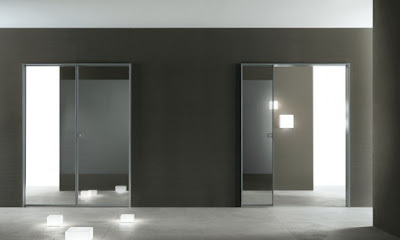 This collection includes various glass internal door with magnetic locks. Their exclusive handle blocks are equipped with a magnetic closure, which allow to make the opening and the closing very comfortable. 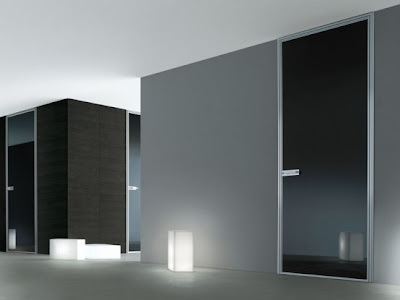 In additional to usual door model these glass doors are available in swing and sliding versions, which not only look very interesting but also could help you to save the space.